A press conference earlier this week in Barbados indicates that the small island nation is nearing an agreement with the United States Treasury Department to implement FATCA – the U.S. Foreign Account Tax Compliance Act. Although many nations have already signed, we have seen that each agreement varies somewhat. For those that don’t already know about FATCA, the law was passed in 2010 and is designed to combat offshore tax evasion. Regular readers of this blog know the law is not without controversy. Although most folks agree that governments worldwide should work together to stop cross border tax evasion, the agreement stops there. Taxpayers and the IRS agree on the goal, not the methods to achieve that goal. Under FATCA, financial institutions worldwide will become the eyes and ears of the IRS. Foreign financial institutions will be required to review their accounts and determine those accounts with ties to the United States. Those with such ties will be reported to the IRS. According to the Barbados Advocate, a peek at the details of the proposed agreement between the United States and Barbados was offered during a press conference last week. Offering details were Barbados Commissioner of Inland Revenue, Sabina Walcott- Denny, Minister of Industry Donville Inniss and Bank Secretary of the Central Bank, Elson Gaskin. While Barbadian banks and insurance companies may not have to research accounts with balances under those thresholds, those reporting requirements don’t supersede existing U.S. law and are only for the banks’ convenience. A great deal of confusion has already begun in Canada where their FATCA agreement is not even a week old. Some misinformed politicians are telling U.S taxpayers that they need not report accounts under the threshold set forth in the new Canada – US FATCA tax information exchange agreement. That is not correct. Simply because a bank isn’t required to review its accounts under a certain threshold doesn’t exempt U.S. taxpayers from reporting those accounts. It also doesn’t mean that foreign banks can’t or shouldn’t turn over information if they know an account holder or signer is a U.S. citizen. The thresholds listed in these agreements are designed to ease the reporting requirements for the banks. Under the U.S. Bank Secrecy Act, taxpayers holding an aggregate of more than $10,000 in foreign accounts must report those accounts annually on a Report of Foreign Bank and Financial Accounts – FBAR for short. Have $5000 USD in a Swiss account and $6000 USD in a Canadian account? Both accounts are reportable. Your Isle of Man account exceeded $10,000 USD for just a few days last year? It’s reportable. You have a precious metals account in the Cayman Islands holding $20,000 of gold? It’s reportable. You are both a Canadian and American citizen with $20,000 in a Canadian account? It’s reportable. As you can tell, the rules are complex. Adding to the complexity are the new intergovernmental FATCA agreements being negotiated worldwide. Notwithstanding the financial industry thresholds in these agreements, U.S. taxpayers must still report if their reportable holdings exceed $10,000. 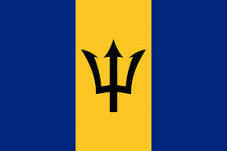 The three officials also said that Barbados would be allowed to exempt credit union accounts and pension funds from FATCA. What should you do if you are an American living or banking in Barbados or a dual national with accounts there? Step one is to thoroughly educate yourself. In the first few weeks of the new agreement, there will be well intended but misleading information. We recommend speaking with an experienced lawyer or accountant well versed in IRS offshore reporting rules. The IRS tax attorneys at Mahany & Ertl will gladly provide confidential, no-fee initial consultations to help answer your questions and explain your responsibilities. Thereafter, most services can be provided on a reasonable flat fee. We also help foreign financial institutions comply with the new law.